I can’t believe that we’re into February already! I hope you had a great festive break. I certainly needed mine and it was amazing to take time off after a really busy Christmas period. Thank you so much to all my awesome customers who supported me throughout 2015, I hope you are well! It is off to a good start for me as I’ve been so busy with commissions and I’ve finally started my jewellery classes. (it’s only taken me 10 years! But supposedly I’m a natural teacher!) I will be trying to do classes once a month, depending on demand. February’s class is scheduled for 27th and there’s still spaces left. There’s another class in March 26 with only 2 spaces left, you can book here. If you would like to do a class later on in the year let mw know when suits you so I can schedule it in. I was absolutely thrilled to be selected for the Craft Scotland Go and See Trip to Top Drawer London, which was fantastic. 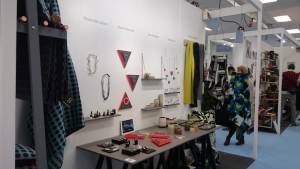 I’ve not been to London in years so it was great to take time off to visit the huge trade fair, meet new makers, gain new contacts and visit come galleries. 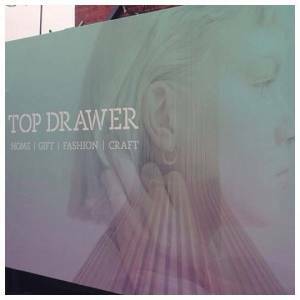 I arrived in London during Sunday afternoon and met up with Jo and Natasha from Craft Scotland, and the other selected makers (Morag Macpherson, Niki Fulton, Olive Pearson, Ellie Hodesdon, Myer Halliday and Scarlett Cohen French) at Olympia Top Drawer. We had a quick wander around the show to get our bearings for the next full on days. The show itself has been rebranded with new website, signage and new layout focusing on different sections including Home, Gift, Fashion and Craft. 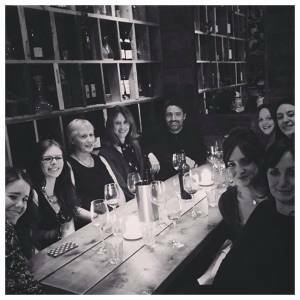 In the evening we were treated by Craft Scotland to a networking meal in a lovely restaurant near the show and I got to know the other makers on the trip. My main focus was to see Craft. After exhibiting at Lustre I was selected to exhibit at Craft, but as I’d never been to the show, I wanted to do some research to see if it would be a suitable place to launch my new work. 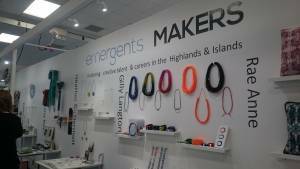 There were plenty of Scottish makers exhibiting so it was lovely to see some friendly faces. We met with Fiona McIntosh (Tessuit) and James from Concert Wardrobe who are both fantastic textile designers. They gave us tips on display and things to do when exhibiting, like taking peoples details who speak to you and following up. We also spoke with The Hothouse Makers who were Catherine MacGruer, Heather Shields, Kelly Munro, Ruth Hollywood, Sian Patterson and Rhona McCallum. Their stand was absolutely stunning, very minimal but striking with a lovely mix of jewellery, textiles and ceramics. I used to go to Cardonald College with Ruth Hollywood so it was nice to see how her work has changed and progressed over the years. In between seeing stands I ventured to the Academy Live and fashion shows to listen to some talks and check out some trends. 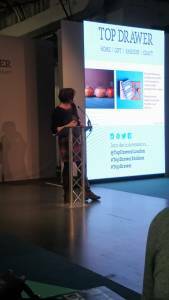 I really enjoyed the talk by Abigail Freeman on Shop sharing and Pop Ups. She has set up a brand wearepopup and they help you find a suitable venue/outlet to showcase your work. I did not realise it was possible to higher a space or even a few shelves of a London gallery. Sounds like a great idea! Then we met up with the Emergent Makers who most of which are based in the Highlands and Islands of Scotland. Their stand was also stunning and had a diverse mix of jewellery, textiles, fashion products. Including Eileen Gatt who was one of my tutors at art school. It was lovely to catch up and ask the makers questions about the show to gain some insightful tips for exhibiting. The Scottish makers really made an impact in London. There’s so many creative people in Scotland but not many high end, quality fairs, with good buyers to show at here, so it was great that so many of them were showcasing their work in London. 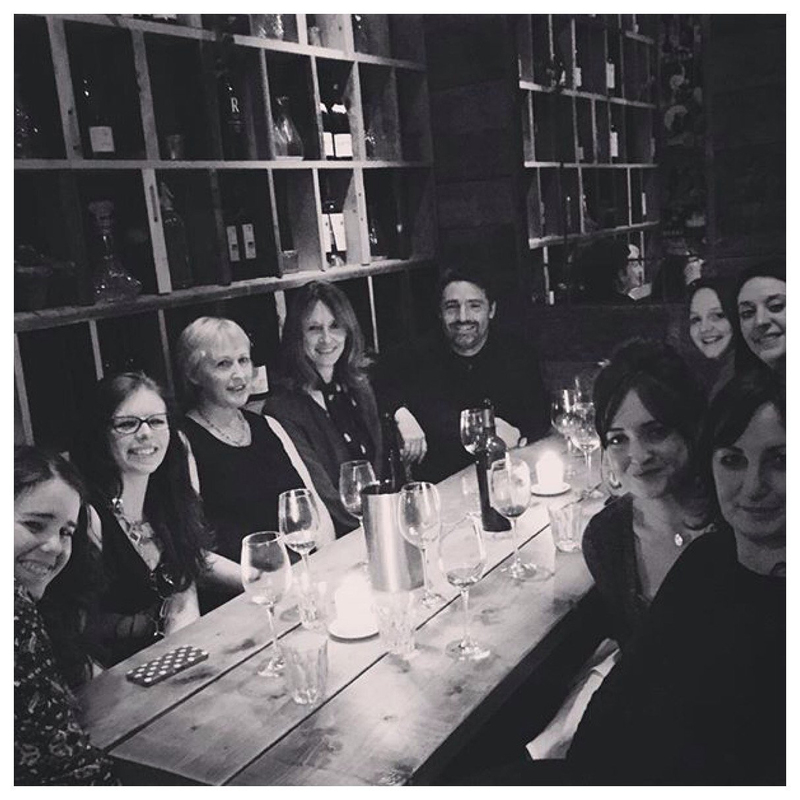 At night we had another networking meal with Craft Scotland, the Emergents and the Hothouse makers. It was another great night. We met with the organisers of the show and were able to ask them lots of questions about exhibiting. There was a lot to take in. After this I wondered round the show some more and asked some makers more questions about exhibiting. 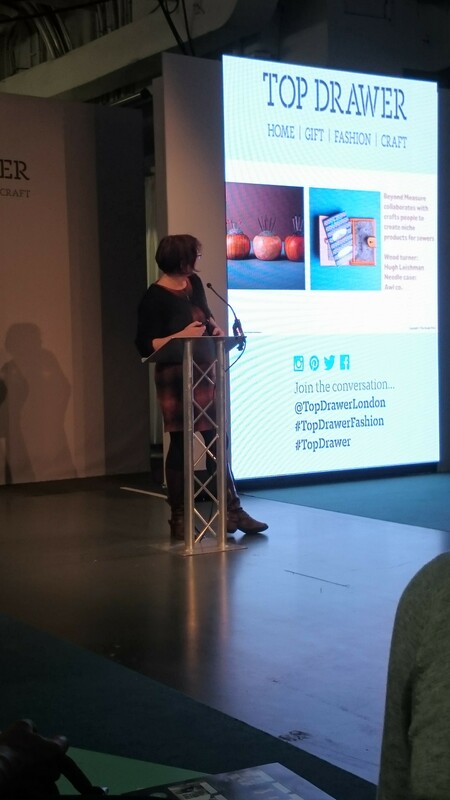 I did have the intention of visiting some galleries but was knackered and was running out of time and wanted to see Patricia Van Den Akker’s talk on Shops + Creatives = Winning Team. Patricia runs the Design Trust and helps many creative businesses grow. She is very helpful with advice and is lovely. You can check out the Design Trust website here.